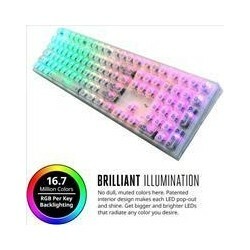 The Redragon Dyaus is a 104 keys semi-mechanical gaming keyboard with 7 colour backlighting and quiet keys designed for longevity, durability and responsiveness. The keyboard features aluminium and ABS construction with double-shot injection moulded keycaps. 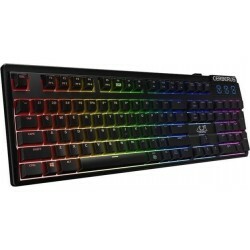 This provides a mechanical keyboard feeling with less resistance and shorter key travel. In turn this means it's easier to type while still delivering precise tactile feedback for a flawless gaming performance.